More than 60 percent of initial claims for Social Security Disability benefits get rejected, so it is vital that you have an experienced Social Security Disability attorney on your side. This is likely your first time applying for SSD benefits, but our attorneys are thoroughly familiar with the Social Security Administration’s process for filing an application and any required appeals. As long as you have a physical disease or mental condition that prevents you from working, which will persist for at least a year or will result in your death, you may be eligible to receive Social Security Disability benefits. 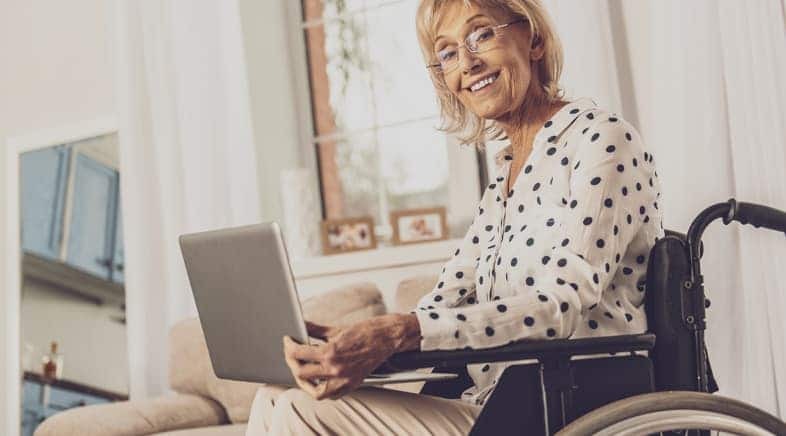 Because the process is so lengthy and complex, having the services of an experienced Baltimore Social Security Disability attorney will increase your chances for getting your application approved. At Plaxen & Adler, P.A., our Baltimore Social Security Disability lawyers have been helping clients navigate the process of applying for Social Security Disability benefits for many years. This considerable track record should give you the confidence that we know what we are doing because we have been successful in helping others in your same situation obtain their benefits. In Baltimore, after you have submitted your application for Social Security Disability benefits, the Social Security Administration field office forwards your application to the Maryland Disability Determination Service (DDS), which will determine whether or not your medical condition is severe enough to qualify you for benefits. DDS determines if your physical or mental impairment matches a condition in the SSA “Blue Book” of impairments, and whether or not you will be able to perform any kind of work with regard to your impairment, your age, skills, experience and level of education. Things get even more challenging when your particular mental impairment is not listed in the blue book. When your condition does not exactly match up with the SSA’s medical listings, you may be able to qualify for a Medical-Vocational Allowance. Your SSD attorney can help you get a medical-vocational allowance. The DDS will complete a residual functional capacity assessment, which will help them to determine whether you will be able to go back to doing work you have done in the past, or if you are capable of doing. A Social Security Disability benefits claim application is complex, it takes a considerable amount of time, and there are many different pieces of documentation that are required before it is complete. An experienced SSD attorneys has filed countless SSD claims, which means they are thoroughly familiar with every single aspect of your claim. They will take into consideration things unique to your situation such as your age, your work history, your medical history and what lead up to the point where you are now unable to work. They labor behind the scenes gathering medical records from your doctors and making sure that you present a compelling case. You do not need to worry if your initial claim has been rejected, because one of our knowledgeable Baltimore SSD attorneys at Plaxen & Adler, P.A. know about the deadlines for filing a reconsideration before the DDS. Why would you attempt to undertake such a complicated process with such daunting odds when you can work with a professional who is familiar with the process and knows how to present your case in the best way possible? When you work with us, you will not pay any attorney fees until we recover compensation for you. Successful claimants receive a check every month and, in most cases, a check for back benefits. We receive legal fees out of those back benefits only. We welcome the opportunity to speak to you about your Social Security Disability claim. Call Plaxen & Adler, P.A. at 410.988.4449 or fill out our contact form to learn more.